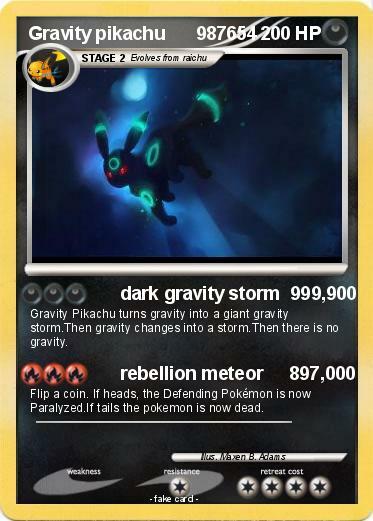 Gravity Pikachu turns gravity into a giant gravity storm.Then gravity changes into a storm.Then there is no gravity. Flip a coin. If heads, the Defending Pokémon is now Paralyzed.If tails the pokemon is now dead.